you are cordially invited to stop by with your VW! NJ VW Service with a Smile & NO Appt. necessary! Union Co. NJ`s VW Service Xpress Center is all about your convenience! That`s right! Douglas VW Service Xpress is now OPEN! Service with a Smile, No Appointment Necessary! Just Come On In! 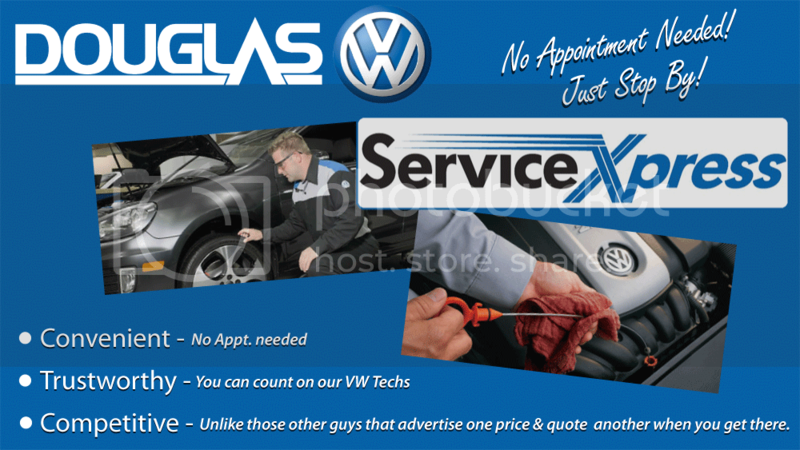 The the ultimate way to service your VW in Union Co. New Jersey!